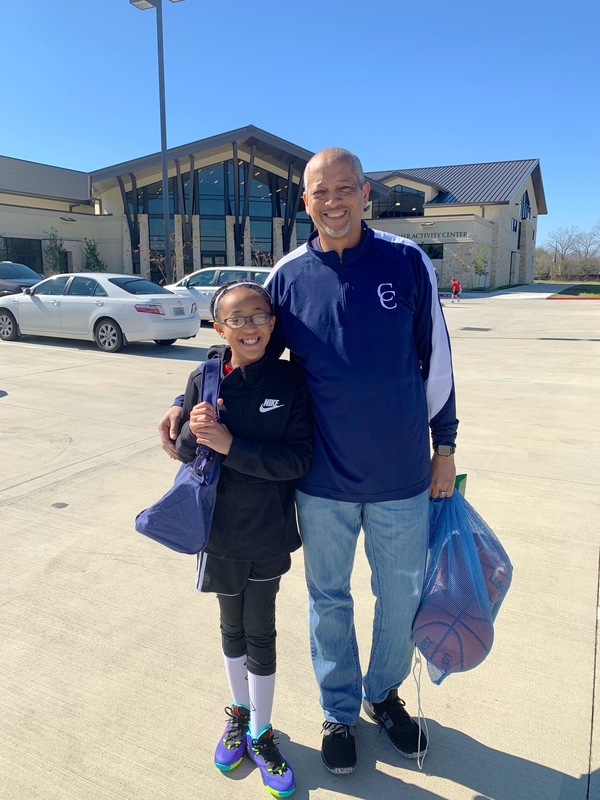 Yesterday was the start of basketball season for my daughter and husband. And after the game they were starving but didn’t want to actually go sit and dine. 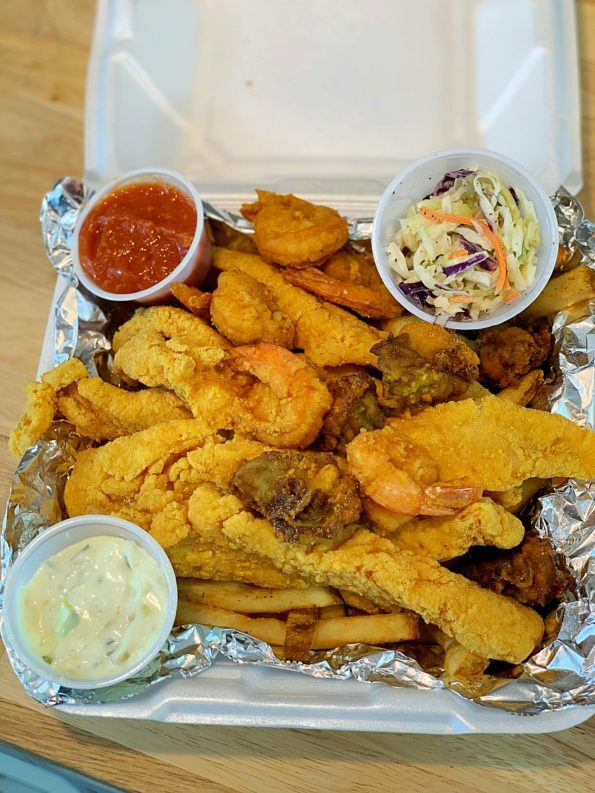 So, we decided to try The Lost Cajun to go. The Lost Cajun is a Cajun themed restaurant from the decor to the menu offerings, it felt like home. 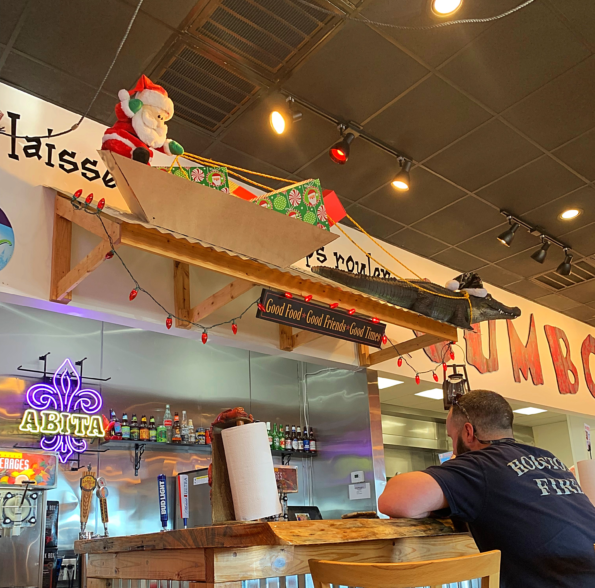 Being from Louisiana and seeing popular decor on the wall like LSU, alligators, seafood boats and nets, I felt like I was being whisked away to Louisiana for lunch. I miss Louisiana, the food, culture and people so much. This restaurant gave me a quick dose of home. I placed my order and sat down to wait for our order to be ready. This gave me a chance to see the food as it came out. Everything looked so delicious. 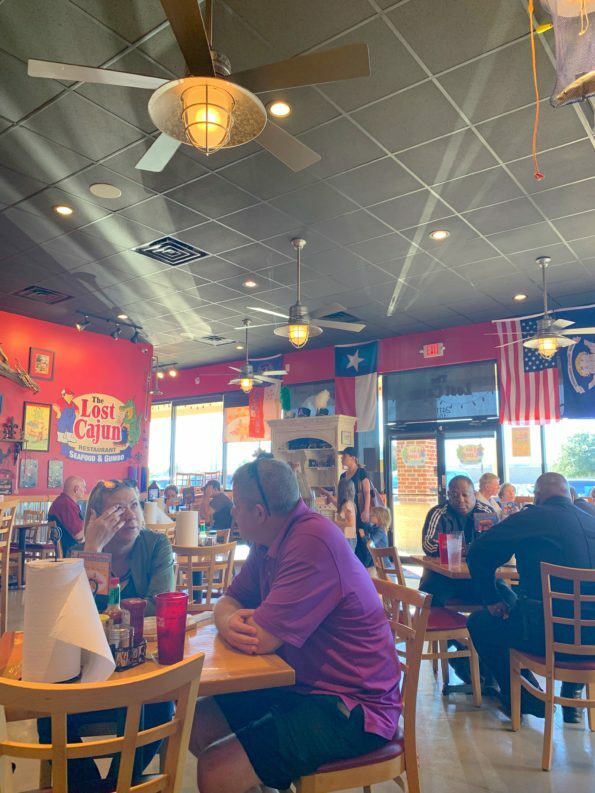 The atmosphere was perfect for families that would like to dine in and enjoy a nice meal. 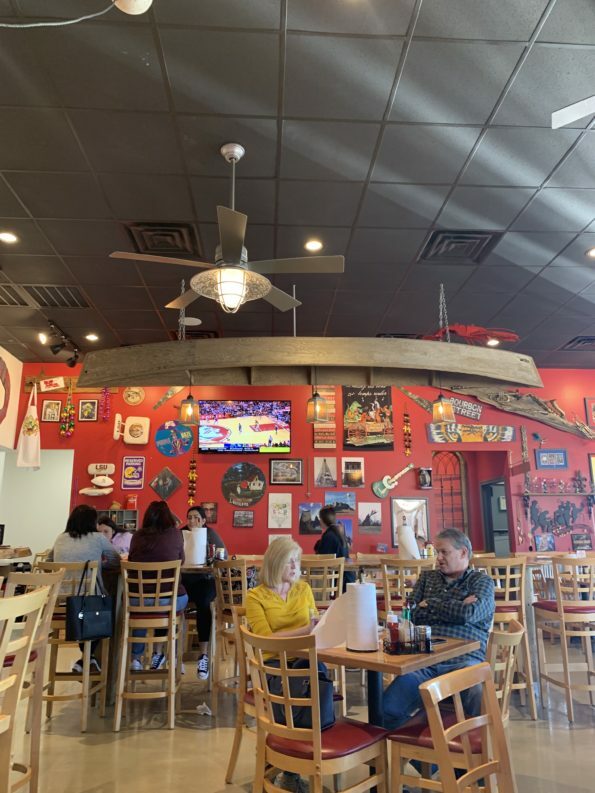 There are TV’s on the wall to watch your favorite sports games. After about 20 minutes our food was ready. 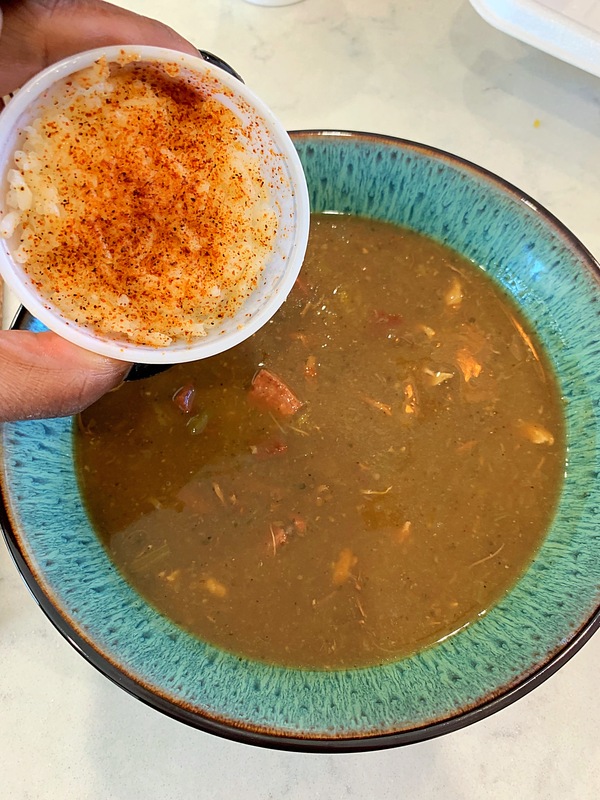 For an appetizer, we had the Chicken and Sausage gumbo with rice. The gumbo was absolutely delicious. Well-seasoned and loaded with chicken and sausage. I ordered a side of potato salad, but somehow the potato salad didn’t make it in the bag. 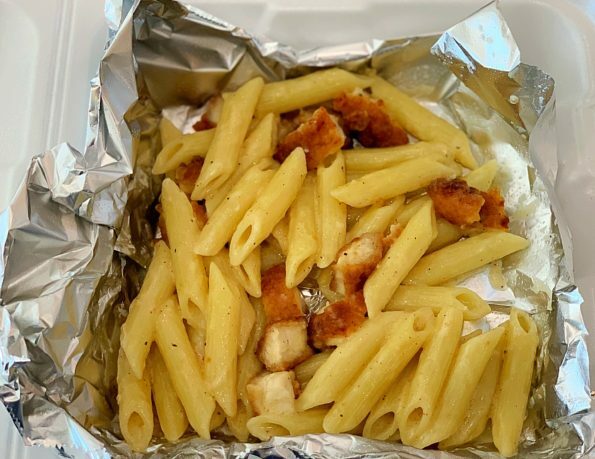 Baby girl ordered the Kid’s Chicken Alfredo. Alfredo sauce with lightly sauced penne pasta and chopped fried chicken. My daughter loved this dish. My husband and I ordered the Large Seafood platter. 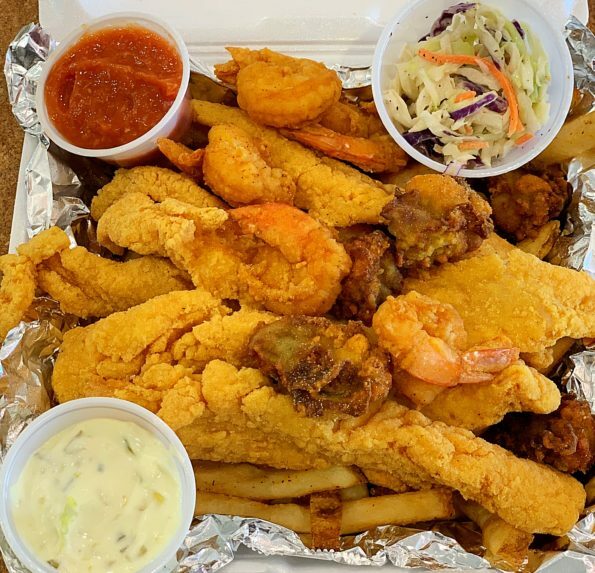 This Seafood platter was huge. Enough food for my husband, my son and I to share. 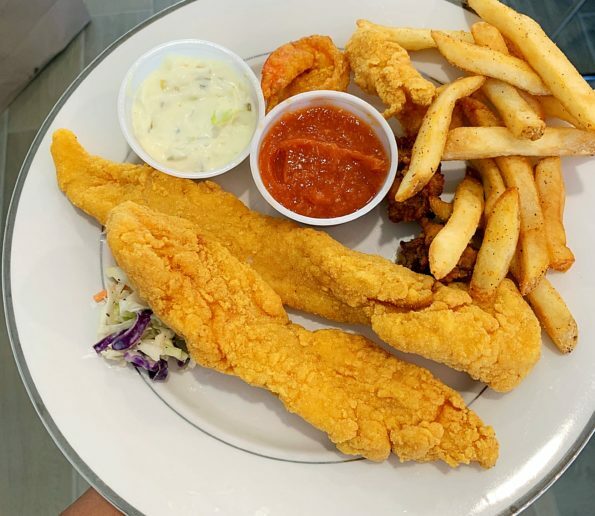 Everything was fried and seasoned to perfection. Amazing choice. 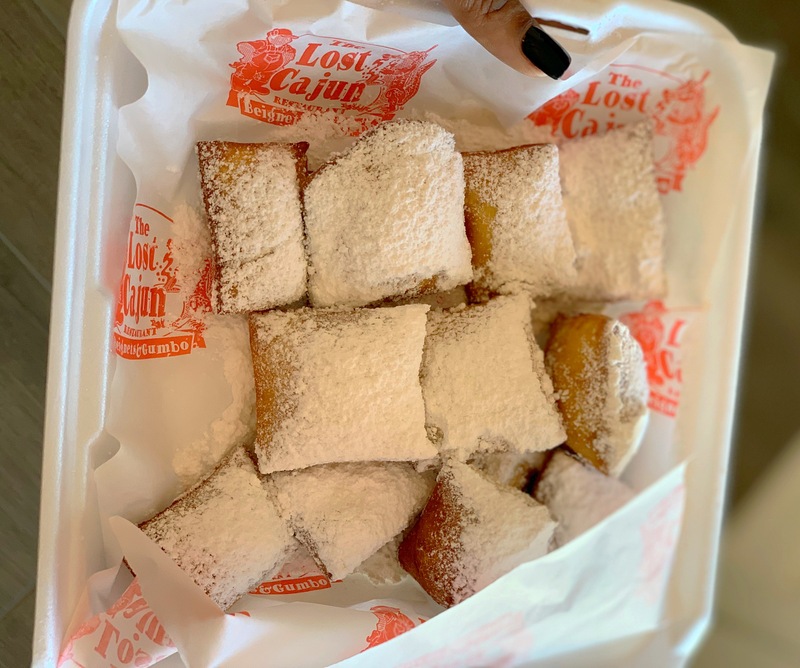 We decided to try the Mini Beignet Bites. Not really mini beignets but I’m not complaining, the beignets were delicious. They tasted like the beignets from Cafe du Monde. A sweet finish to a To-Go experience. Overall, the service was good. The waitresses were great. My observation as they served each table was attentive and time sensitive. The food was delicious. 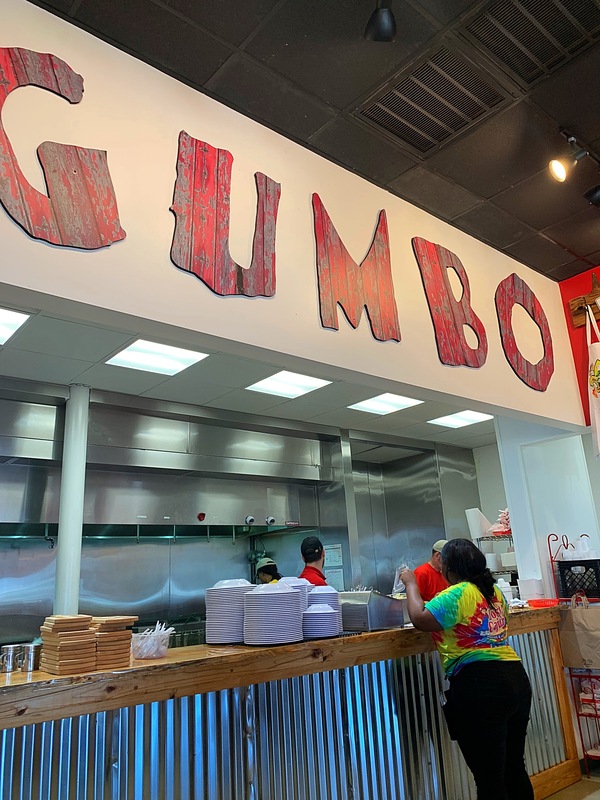 Definitely a Cajun spot that knows how to prepare good Cajun Food. 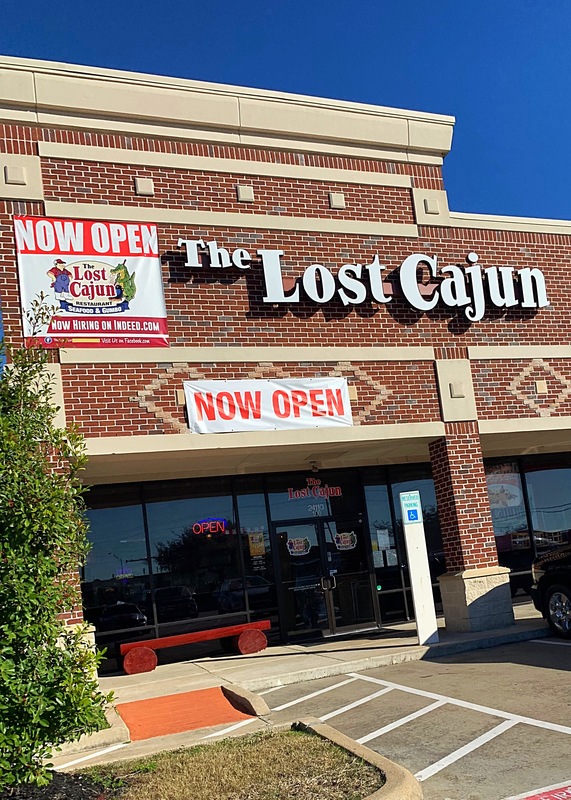 The Lost Cajun is located at 24110 Northwest Freeway, Suite 100, Cypress, TX 77429. 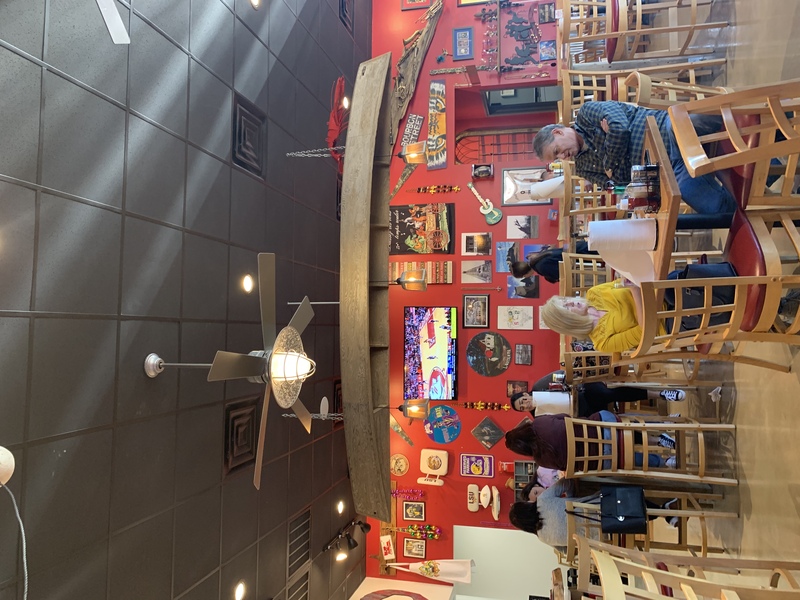 The Hours of Operation are Sunday – Wednesday 11:00 a.m. – 9:30 p.m., Thursday – Saturday 11:00 a.m. – 10:00 p.m.
Be sure to Go and check them out. Tell them that Da’ Stylish Foodie sent you!